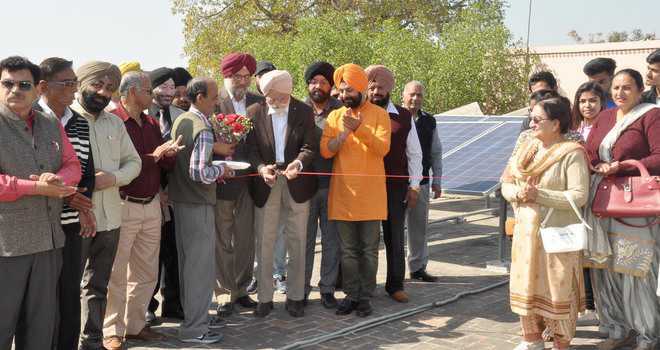 Prominent theatre personality Jatinder Brar inaugurated a solar plant at the Indian Academy of Fine Arts on Sunday. “It is the brainchild of chairman of the gallery, Rajinder Mohan Singh. It is a moment of proud for all of us,” said Shivdev Singh. Educational institutes, including Khalsa College, DAV College, Guru Nanak Dev University and Punjab Naatshala, have also installed such a plant.